I received a shiny PCN in the post today for NO WAITING after I pulled up at the side of a bank doing a favour for someone. As the idiots have to give you a 10 minute grace period and also a sign saying no waiting or similar is not a contract to park they dont have a leg to stand on. However, being both stupid and greedy they will still try and chisel you for the money. If you want to waste £25 of their money you can appeal to them and when they turn you down to POPLA (that costs them). and in any case they have failed to allow a 10 minute grace period as demansded by the BPA Code of Practice. All of the above points will beat a court claim and you can sue them for breach of the GDPR for ontaining and processing your personal data unlawfully but none of that will matter to POPLA as they have very limited terms of reference. However, you can show that you have been through the motions and that the parking co have been made aware that their claim has no merit. - wording on signage and grace period. are they the ONLY signs? that the phrase is prohibitive and not a genuine offer of terms to park, I have gathered as proof. There are mitigating circumstances to explain why the vehicle was parked where it was and the charge should be waived for this reason. Please see attached evidence, I am a blue badge holder due to mobility issues, as proof of claim. The amount you have charged is not based upon any commercially justifiable loss to your company or the landowner. In my case, the £100 charge you are asking for far exceeds the cost to the landowner of the short period I was there. I therefore feel the charge you have asked for is excessive. If you choose to pursue me please be aware that I will not enter into any correspondence and this will be the only letter you will receive from me until you answer the specific points raised in my letter. The car park in question has no clear signage to explain what the relevant parking restrictions are. This means no contract can be formed with the landowner and all tickets are issued unlawfully. No contract offered as there was no such clause as NO WAITING on their signage, that the phrase is prohibitive and not a genuine offer of terms to park. the blue bit in post 4 says nothing? about using the points in blue above? I'm at a loss, it does state that is no waiting on the signs so should I appeal or just pay the £60? I am also on benefits and it is a huge chunk out of my fortnightly payments. cant see you've read one other PPC thread at all??? there is a 10 mins grace period..
, the second sign is not a contract but an invitation to treat so cant be binding and anyway carries no offer of terms so how can you accept them? there is no illegality involved by either side in this matter, it is civil law, not criminal law. No one gives a stuff as to why your car was where it was, it is completely irrelevant. There is no such thing as mitigation in contract law so forget about it, you will get no sympathy and you will never win an appeal or a court case if that is what you think will help. Now, read and understand a load of other posts, you have more than enough to destroy any legal claim these idiots may make. These clowns would ticket a DPD/Yodel/Parcelforce/UPS van delivering at the location, no waiting is a prohibition, so as EB says no contract can be formed, as it is Private Land, there can be no criminal element. The signs are a prohibition so not a contract, as it is private land there can be no criminal element. No, dont send that, it will only cause them to know they are pursuing the right person for starters. At present they dont have a clue who was driving so why are you telling them it was you? with regard to your claim that a contract was breached I suggest that you find someone who understands english as well as the law to explain to you why there can be no breach of a contract when a contract doesnt exist. No waiting is a prohibiton, not an offer to park. Consider yourself lucky I have no desire to sue you for breach of the GDPR over this matter but stop wasting my time with your begging letters, you arent getting any money because none is due so you will just have to resit your GCSE's and try it on with someone else. You dont invite then to pursue you or even request further correspondence as they see that as a sign you will pay up if they apply a thick enough layer of bull****. I did read quite a few posts but could not find one that was relevant to the information that I required. I appreciate the times that you have taken to reply. I can confirm that your appeal has been received and you will receive a response within 35 days. Please provide any evidence you have to support your appeal, such as a valid disabled badge, evidence of purchases and proof of delivery. Please note, you must include your parking charge notice reference number and vehicle registration mark in order for us to process your appeal. Your PCN, and the associated charges will be placed on hold until a decision has been made and communicated to you. We endeavour to review and respond to appeals within 10 days. Your appeal response will not be sent from this mailbox, it is the appellant's responsibility to ensure their mailbox/junk box is checked daily to ensure you have the opportunity to pay at the reduced rate within 14 days if your appeal is rejected. After 14 days the charge will revert back to the original amount. Please note; POPLA verification codes are live for 28 days only. There are dozens that talk about signage that is prohibitive in nature, looking for one from your site mentioning no waiting isnt necessary as it is the applicable law that counts and there are plenty to choose from. so now you have given them your email address so they can pass it on and get other rentathreats to harass you for free. 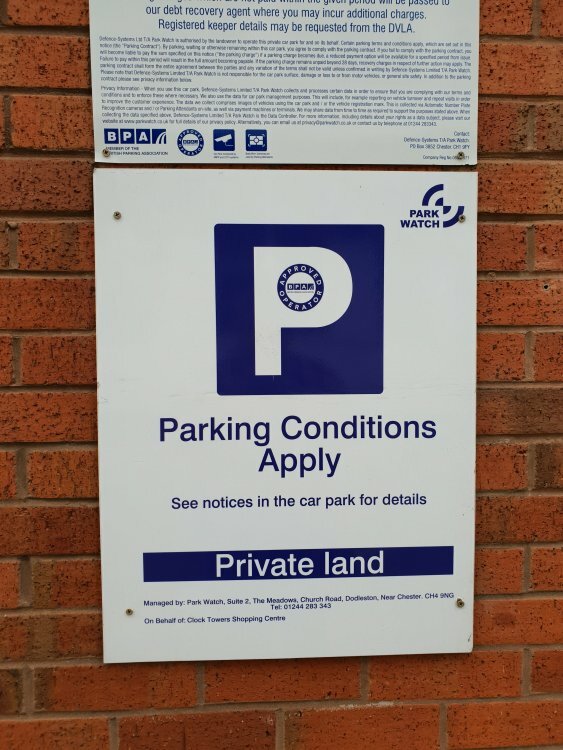 If you had read more threads you would have seen that we advise to use old fashioned letters so the parking co's are put to the maximum inconvenience and expense in chasing you. A common theme for any alleged debt that is disputed is to NEVER phone them, text them or email them as these methods allow them access to you at no expense. they are also noted fro breaching the data protection laws so expect a load of spam from claims co's and whatever as they sell on lists of contacts to supplement their income and you then get claims management companies on the phone as well as people from the Phillipines working for "Microsoft" telling you by name that your computer is compromised etc. It's a throw away email address that I can change at the drop of a hat and as far as I know I don't have any rent a threats chasing me for money. I definitely haven't provided them with a contact number. But i do get the odd phone call telling me my internet provider has been stopped. 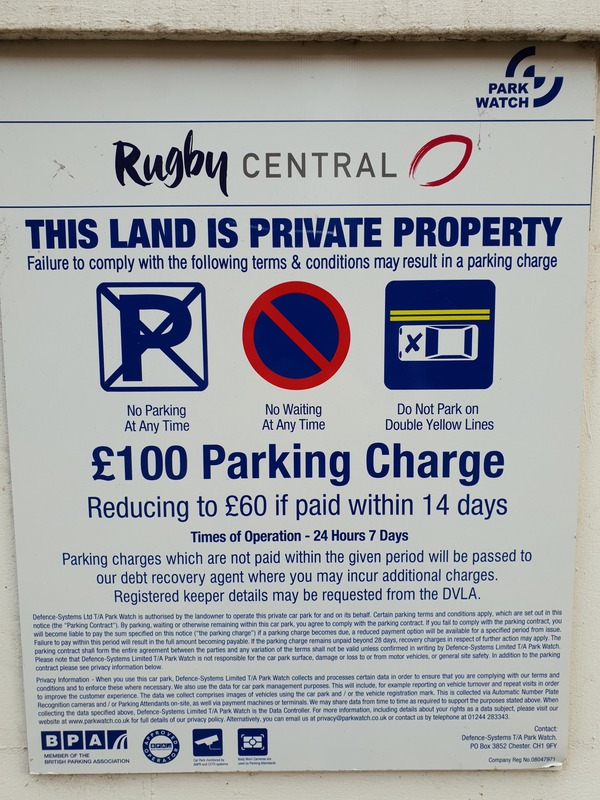 The Parking Charge Notice was issued due to the vehicle being on private land for over 36 minutes, where the terms and conditions are 'No Waiting' and 'No Parking'. Please state your grounds for appeal, if you do not wish to make an appeal or make payment the Parking Charge Notice will continue to escalate. I bet it says atleast 2hrs even 3hrs free parking. they know they are wrong but will not admit they cant read or write properly. there is nowhere for it to go other than in the parking worlds fantasy world. they get away with all of this because people generally dont know any better so they worry, pay up and then moan afterwards. - worry they are going out of business because their lies have been exposed and no-one will then pay them becuase the debt isnt real.